A terrible misunderstanding during Gallery Walk. Comics about science? (SCIENCE!) Yes! 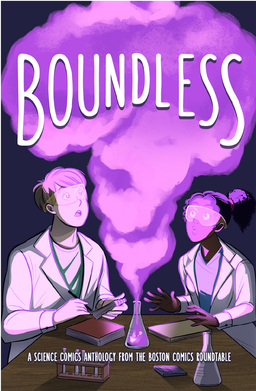 I’m excited about Boundless , the Boston Comics Rountable‘s forthcoming anthology, and you should be, too! I greatly enjoyed their (now out of print) Inbound 4: A Comic Book History of Boston , and I have high hopes for Boundless. Plus the Roundtable is a great bunch of folks. Place your Kickstarter pledge now so they can print it and pay the artists! 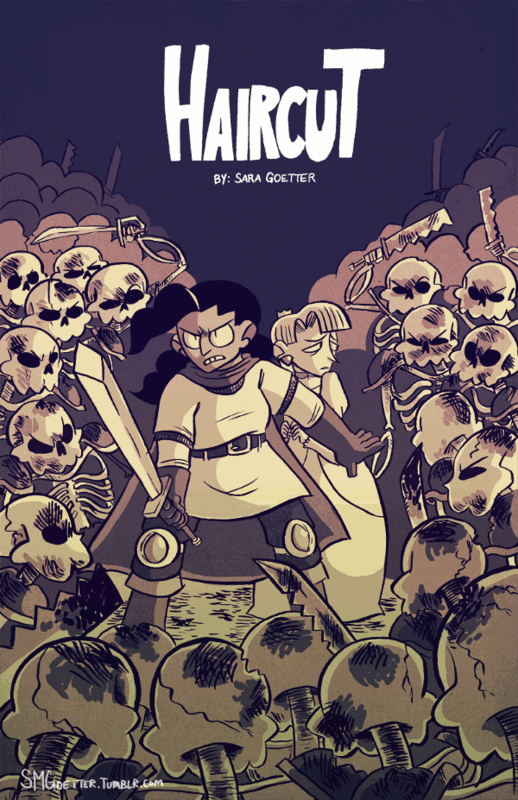 You should read Haircut by Sara Goetter. It has a swordswoman and a princess and is fully charming. I got a copy last October at MICE. 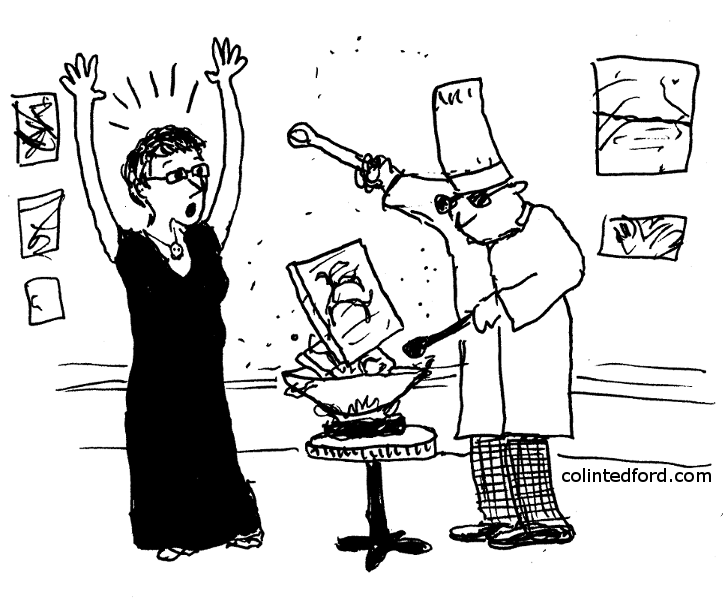 Yes, get this comic if you see it! I have it and it’s short but really funny.